American Christian Tours recently developed an Education Program that focuses on the time period between the end of the Civil War and the Civil Rights Movement. This caused me to dive into learning about this era of history of which I knew little. My favorite area at the library for doing this type of research is the children’s section. There I found quick reads that got to the heart of the matter! I also found several great video series’ on both the Reconstruction era and many of the events of the Civil Rights Movement. The fact gathering is endless. 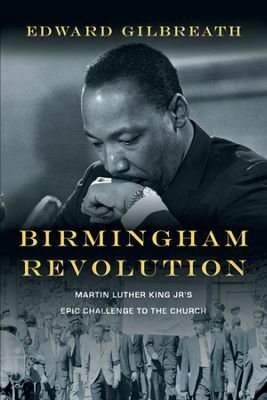 It was interesting to come across Edward Gilbreath’s book Birmingham Revolution: Martin Luther King Jr.’s Epic Challenge to the Church, which was published in 2013. Here was a contemporary author plunging into a topic that has challenged my thoughts since venturing into this era of history: Who is the real MLK? What can today’s evangelical church learn from him and how can we apply it to issues of our day? As the focal point, the author explores King’s life using the letter he wrote while imprisoned in a Birmingham jail. (If you have yet to read this letter, I encourage you to add it to your must read list! It has much to say to the church today!) He explains MLK’s story in the context of his time and also includes cultural, political, and personal perspectives. The reader is given the feel of traveling along with the author, being privy to his thoughts as he explores and questions the life and legacy of Rev. King in the context of today’s evangelical church culture. The book is more than a simple review of people, places, and events. For instance Rev. Shuttlesworth is mentioned in nearly every book about the Civil Rights movement, yet in Gilbreath’s book I felt I got to know the fiery Shuttlesworth—he’s now on my list of favorite heroes of history! One sees how important it is to have a variety of personalities, passions, and purposes working together for righteous causes. Birmingham Revolution is very readable and is only 170 pages. It includes extensive notes and a list of recommended reading. This is a book I will likely read each year before leading The March Education Program because it provides a full, rich picture of the time and of MKL. I must add that the book also challenged my thoughts, perceptions, and understanding on various points in history and also the future of the evangelical Church. This would be a great book for small group discussion! Taking it to the Community!